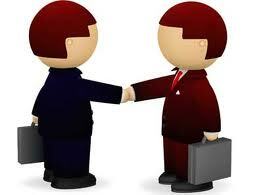 Good negotiation skills give boost for any person to be successful whether in life or job or business . It is more of a inborn talent but can be acquired to an acceptable level through exposures , interactions and observations. If your toddler child has asked for an ice cream and you have agreed for it for doing his or her home work means the child has successfully negotiated a deal without you realizing it !! One requires these skills in all spheres of daily life- home,office, market..... .
Innumerable books on the subject are available in the market for years. Lots of research have taken place .Through Internet a lot of sites can be accessed .Class room lessons are available as a part of curriculum of various courses .All this can help in a small way but I do not think that it will have a major impact. All one requires is common sense , information and communication skills to be a successful negotiator, in that order .Actual practice can make the skills sharper.Here I will try to write what I have learned over the years with a perspective of engineering industry in mind . Extempore. Obviously I do not claim these comments to be the last word on the subject (not even the first ! ) since I am not an academic expert but still could be useful for the young business executives all round the world .I started reading books on management after reaching that level than vice verse....This could be a change ! The very aim of concluding a deal after negotiations is not to out beat the prospective partner in all respects but to achieve a fair deal , provided you got the best rates /terms possible . (1) To reach into a workable ,mutually acceptable and efficient agreement (2) to have the same good relationship with the partner company, if not better after the deal is through and executed , so that more and more business can be done in the future. As far as practically possible prefer place of negotiations to take place in your office .If that is not possible , try for a third party place - in a hotel or such places .Last resort ,of course is the other party's office . The impact will be different in each case. If it is with a subcontractor or supplier ,insist for your place. You can negotiate with a lot of persons representing the other party - sales representative , sales manager ,procurement manager , administration manager ,finance manager, CEO ....the list goes on . It is not advisable to discuss with all or step by step to reach conclusions .Bottom line is that you should negotiate with one or a group who can take decisions from their side . You also should be en powered to take decisions .If limited , you should know the limitations well or include the person from your side who can finalise the terms in one go. Before we meet to negotiate and conclude deals , one should study the subject in depth . Mark points to be discussed and agreed in particular . There could be hard points ( points difficult to be agreed by the other party) and soft points .Each one to be identified and one should know up to what level he or she can stretch . One should have a crystal clear idea which are negotiable points and which are not , whats is available in the market . In order to make a friendly atmosphere or because one is stressed up , many talk loosely - more than required .On many occasions I had the advantage of this loose talk by others .They slipped up with many info unknown to me which worked against them. Please limit the number of participants from both parties for such a negotiation . In many instances the boss doesn't do his home work instead take his assistants for the negotiations along with him.The more the crowd less the chances of a fair deal for both parties . Remember that decision making and taking responsibility is a part of your job and cannot be hired out to others. As far as possible points to be agreed are to be negotiated as a whole and not piece by piece . There could be different topics as diverse as fiance/ terms of payment and technical matters but it is to ones advantage that all topics are covered, discussed and agreed in one go than in different meetings with different professionals involved at different venues. 1. Scope of contract /order . Now I shall go to one by one. But please note that one need not go in this order in negotiation meetings . One has to be 'wise' enough to choose the order which may change from each meeting. This is to be studied in depth . Details of the product/ project , manufacturer , whether it complies fully to specs or not , country of origin ..all to be agreed clearly without any ambiguities by both parities .If any exclusions agreed to be particularly highlighted. In short this has to be precise and elaborate . The art of bargaining comes here . Thorough info on available alternatives /competitors and their prices is a must before one indulges in this . Little bit of market intelligence on the keenness of the other party to have this contract won has to be ascertained .Depending on the type of contract whether lump sum or rate , amount and rates are to be agreed . Even if it is a lump sum amount, break up depending on BOQ (bills of quantities) has to be agreed . If a discount is agreed , it has to be identified whether it is for overall or for some items .Both will have different impacts later as one executes the contract.Unit of currency has to be specifically noted in an international contract , which will have an impact in a fluctuating currency market . Another important point where both parties are to be explicitly clear .Thorough knowledge of Incoterms(International commercial Terms ) and its implications is a must before one indulges in this topic .Letter of credit or not and conditions related ,advances if any , period of settlement of invoices , retention if any - all to be discussed and agreed. If it is to be based on a certified invoice the implications of this clause has to be fully known. Again excellent knowledge of Incoterms is applicable here .If it is delivery - delivered to store/site , ex works ,C&F,CIF, ex store ,FOB -will have its own implications , financial and otherwise. If it is contract related ,whether it is including testing and commissioning etc are to be clear. There will be so many other conditions which are to be discussed and cleared .All these conditions need not arise in all the occasions but the topics are listed below so that one can choose which is applicable in each case . Each topic is self expressive but can be elaborated but I prefer to refrain from this because this write up will be lengthy . It is advisable that once the meeting is about to be over , read out the important points. I sometimes insist on signature of both parties on this draft , then only and retain the signed copies.This will be helpful in clarity of agreements which are to follow , because in many companies the agreement is prepared by others , that too take a lot of days. I have tried to compress this topic to few pages which could have been written in volumes ..intentionally .My interest is to list out only the essence to readers , who can use this as a ready reckoner on the subject . I would be pleased if one finds this useful in his or her career .Any comments - good or bad -is welcome so that I myself can learn .....learning and corrections is an never ending process - in life and business .